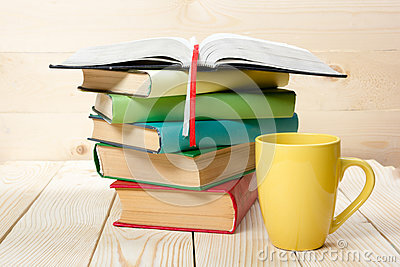 Stack of colorful books, open book and cup on wooden table. Back to school. Copy space. Open book and stack of books on wooden table. Education background. Back to school.Copy space for text. Egg with a decor on a white background. Closeup of colorful macaroons on a pink background.